When you smoke, you need an ashtray. 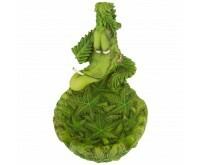 Find several handy, funny and affordable ashtrays in this category. 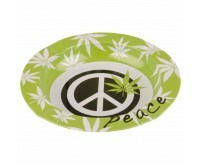 Ashtrays with marijuana leaf logo, especially for weed smoking, are the best-sellers. An ashtray can't be absent when smoking a joint or cigarette. 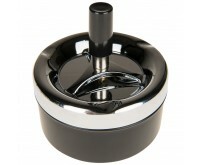 Dutch-Headshop has an extensive offer of beautiful and functional ashtrays. 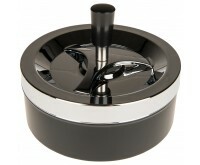 Dutch-Headshop has different ashtrays, each with its own capacities and benefits. For example, go for a functional, closed ashtray and keep the odor nuisance at a minimum level. In case the appearance of the ashtray is more important to you, go for the cannabuds ashtray. We have two ashtray labels, namely Kulu and Cannabuds. Both labels are clearly different when it comes to style and appearance. Cannabuds ashtrays are beautiful, original and quirky cannabis ashtrays that are not only handy when smoking, but also have a nice appearance. 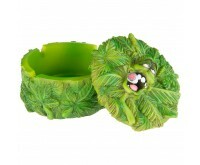 A Cannabuds ashtray is nice to give as a present, for example. Below a short description of the features of the Cannabuds ashtrays. Kulu ashtrays are very good-looking and user-friendly. 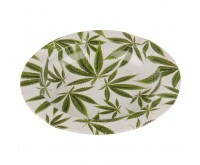 They often have a cannabis-like appearance, with marijuana leaves incorporated in the ashtray. Below a short description of the features of the Kulu ashtrays. 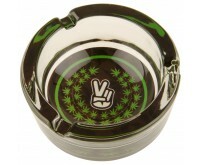 Dutch-Headshop's ashtrays are relatively cheap and of excellent quality. 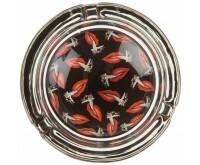 The price of a beautiful and functional ashtray is 2 to 10 euros. The luxurious ashtrays do have a number of benefits compared to cheaper ashtrays. They have a secret storage compartment. Therefore, they can also be used as storage space, and it is a very beautifully designed item for at home. Easily tap your ashes with one of these nice-looking ashtrays. 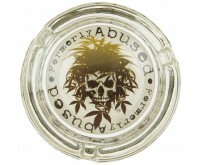 Choose your favorite ashtray and order it easily and discreetly online at the Dutch-Headshop.